If you’re looking for hard to find reloading components, Darrell Holland reports that Holland Shooters Supplies has just received large shipments of powder, bullets, brass, and yes, primers. Darrell says he’s also got good supplies of Berger, Nosler, and Sierra Bullets: “lots of 308 caliber 168s, 175s, and 210s, plus 50-80gr 224s.” Holland’s also has 70-107gr 6mms in stock, plus 6.5mm and 7mm bullets. For these reloading components at Holland’s, there is no limit on quantity — first come, first served. A $25.00 Hazmat will cover up to 50 lbs of powder and primers. To order, call Holland’s, (541) 439-5155, 9am to 3:00 pm Pacific Time. While you’re visiting Holland’s website, check out the new $30 Tactical Shooter’s Pouch on the products page. This unique, ballistic nylon bag holds ammo in elastic loops, plus it’s big enough to carry range cards, a mildot master, spare parts, or even a PDA with a ballistics program. Share the post "Reloading Components Offered by Holland's Shooters Supply"
During our visit to Oceanside, Dennis gave us a tour of the facility. Dennis also explained the manufacturing process for Creedmoor’s popular shooting coats. All these shooting jackets are hand-crafted in Oceanside by experts with years of experience. Special templates are used to ensure each coat perfectly fits its new owner. Today, 7/30/2009, we asked Creedmoor Sports to check its inventories of 6.5 Creedmoor components. Plenty of 6.5 Creedmoor cartridge brass is in stock. There is a good supply of 120gr A-Max bullets, but no 140s. As for 6.5 Creedmoor loaded ammo, a couple hundred 20-rd boxes of Hornady ammo is on the shelves as of 7/30/2009. A handful of die sets are in stock, with more on order. 6.5 Creedmoor case reamers are in stock. Share the post "Dennis DeMille, Past Perry Champ, Offers Shooting Tips"
Hand loaders have been awaiting the release of the Hornady Lock-N-Load™ Power Case Prep Center, ever since it was displayed at the 2009 SHOT Show. Midsouth Shooters Supply finally received its first shipment of the Hornady prep centers and put them on sale for $313.80, promptly selling out. More units are on the way. Midsouth concluded that: “Overall the Hornady Prep Center is a really sturdy piece of equipment.” Midsouth said the trimming/prepping tools work great and the machine is easy to clean. The improved T-bar handle gives better control over case height when trimming. At first, the Hornady’s $300+ price may seem steep. However, if you purchase BOTH an RCBS Trim Pro Power Trimmer ($260.12) and Trim Mate Case Prep Center ($108.58), you’d spend $368.70 combined. Buying the Hornady gives you an all-in-one machine that is more efficient to use, and occupies a smaller footprint on your loading bench. 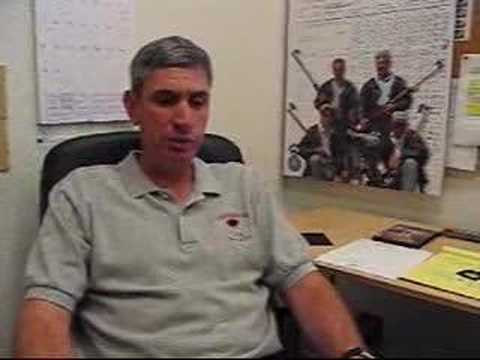 Below is a video demonstration of the Hornady Case Prep Center at SHOT Show 2009. Click on the “HQ” button for the higher resolution version which shows the tool operation more clearly. Share the post "First Shipments of Hornady Case Prep Center Hit Market"
Gunny’s back — starting this Friday (7/31/09) on the History Channel. Marine Corps veteran R. Lee Ermey will host “Lock N’ Load”, a History Channel series which debuts July 31st at 9pm ET. Ermey, acclaimed for his role as a Marine Drill Instructor in the movie Full Metal Jacket, previously hosted the popular “Mail Call” show on the History Channel. The focus of Lock N’ Load will be firepower — and lots of it. In each episode of Lock N’ Load, special high-speed photography reveals the inner workings of a particular weapon — how it performs and what really happens at the point of impact. Advanced 3D graphics help illustrate the technology and design principles behind each weapon. In addition, expert consultants explain the history and engineering of each weapon. 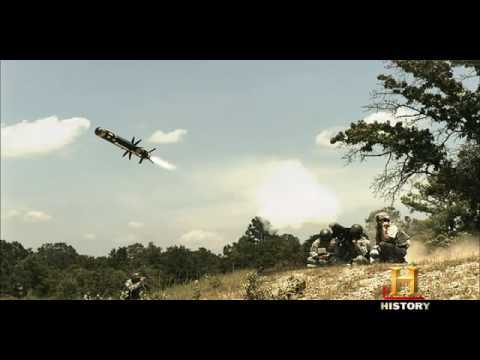 Share the post "Ermey Hosts New "Lock N' Load" Series on History Channel"
Headed to Camp Perry this summer? Take the “Bernosky Challenge” while you’re there and compete for over $1000 in cash prizes. The “Bernosky Challenge” is being conducted by the Civilian Marksmanship Program in cooperation with Creedmoor Sports. Competitors in the Bernosky Challenge will fire the National Match Air Rifle Standing Course with the new Creedmoor-Anschütz NMAR air rifles and compete against the current Camp Perry High Power champion, Carl Bernosky. One of America’s all-time great target rifle shooters, Carl won his 9th NRA National High Power Rifle Championship in 2008. This year, Bernosky will seek his 10th Championship using a Creedmoor CSR-1 Match Rifle chambered in 6.5 Creedmoor. ANYONE who can beat Carl Bernosky in this air rifle challenge will receive $100. (See challenge rules for details.) Go to www.creedmoorsports.com or CLICK HERE for more details. The new National Match Air Rifle discipline was developed by the CMP to simulate High Power rifle across-the-course shooting and provide adults with an air rifle discipline that builds on the popular junior three-position air rifle program. This NMAR discipline gives High Power competitors off-season shooting opportunities. One of three NMAR equipment classes is for air rifles configured like M16/AR-type rifles.The Creedmoor-Anschütz NMAR rifle is one of these rifles. NMAR targets are scaled down High Power SR and MR targets. Courses of fire are closely related to current High Power courses. Thirty-five (35) Creedmoor NMAR rifles are available for anyone for use during this competition. CLICK HERE for more details! Share the post "Outshoot the Champ and Win $100 at Camp Perry"
Precision Reloading, a South Dakota-based vendor of shooting supplies and reloading components, has launched its new, enhanced website. You’ll find the new site easier to navigate, with enhanced product descriptions and photos. The shopping cart system is also much faster and easier to use. Products are now organized in eight basic categories: Shotshell Reloading, Metallic Reloading, Muzzleloading, Hunting & Shooting Accessories, Optics, Gun Cleaning & Care, Books & DVDs, and Sale/Clearance items. Click on any main category and you’ll find products grouped by type. For example, under Gun Cleaning products, you’ll find handy links for “Bore Guides”, “Solvents”, “Patches & Jags” etc. ; this lets you quickly easily compare multiple competitive products. We’ve found that’s much faster than trying to search, one by one, for a half-dozen different bore solvents, for example. Precision Reloading’s new website also spotlights sale/clearance items with “Monthly Specials” and “Bargain Bench” entries. Among the current monthly specials we found the Vortex Viper 4-12x40mm Side Focus scope for just $362.99 (item VX04P). And in the “Bargain Bench”, you’ll find Wilson Caseholders for just $6.50 and Sinclair Expander Mandrels for just $3.99 per caliber. Share the post "Precision Reloading Launches Enhanced Website"
Tactical Rifles (TR), a Florida-based precision rifle builder and parts-maker, has introduced new, ultra-durable bottom metal for Rem 700 and Rem-clone receivers. Why do we need better/stronger bottom metal? Just take a look at photo below. It shows a factory Rem floorplate that failed at the trigger guard. The TR floorplate/detachable magazine assembly is lighter, yet stronger than factory bottom metal and competitive after-market products: “At it’s thinnest part the TR floorplate assembly is 150% thicker than our nearest competitors’ unit.” That makes the unit much stronger and more durable. In addition the TR floorplate is designed to work with TR’s milspec, dual-stack, center-feed magazines. This center-feed mag design provides more reliable feeding and function. The photo below left shows a TR floorplate assembly under the wheel of a heavy pick-up truck. As you can see in the right photos, the “overbuilt” TR bottom-metal passes this test with flying colors. TR floorplate assemblies are now available for purchase as a replacement part for any Remington 700-style rifle. Minimal gunsmithing is required but the end result is, according to tactical rifles, “dramatically increased reliability … without the binding that occurs in some of the other detachable box magazine (DBM) systems available today.” For more info, visit TacticalRifles.net, or call 877-811-GUNS (4867). Share the post "New Super-Strong Bottom Metal from Tactical Rifles"
At Camp Perry, the Hough Theater stage saw many people honored as Smallbore 3-Position champions Saturday night. Specialist John Hein of the United States Army won the title of National Overall Champion. Leonard Remaly was named Senior Champ. And while the Award Ceremony honored all the Smallbore 3P winners equally, it was Any Sight National Champion Greg Drown that drew the only standing ovation from the crowd. One reason was because of his score. The other is because he shoots from the seat of a wheelchair. This story comes courtesy the NRA BLOG, which is providing extensive, daily-updated coverage of the NRA National Championships. Share the post "Shooter Wins Smallbore "Any Sights" Title from Wheelchair"
Surgeon Rifles has engineered new, heavy-duty scope rings with unique features. First, the rear ring comes with a bubble level integrated into the top half. This smart invention eliminates one other pricey accessory you’d otherwise need to add separately. The new Surgeon rings are made of high-grade 7075 T6 Aluminum so they are strong yet light. The “wide-body” design offers a full 0.950″ of clamping surface (front to back), secured by three vertical hex-head fasteners per side. The rings will be offered in a variety of heights, from .875″ to 1.125″, in both 30mm and 34 diameters. A 0.625″-wide steel version is planned for later release. Ring sets will cost $199.00 and that includes the bubble level. For more info on these rings, or to place an order, visit SurgeonRifles.com, or call Preston Pritchett at (405) 567-0183. Surgeon plans to be shipping ring sets in various sizes within three weeks. Share the post "New Precision Rings with Level from Surgeon Rifles"
In a remarkable display of long-range marksmanship, legendary 50-Caliber shooter Lee Rasmussen set four (4) new 1000-yard world records at the recent Fifty Caliber Shooters Assn. (FCSA) Championships, held at the NRA Whittington Center over the 4th of July weekend. First, Lee shot an amazing 1.9557″ 5-shot group in Heavy Gun Class, breaking Skip Talbot’s 2.600″ single-group record set in 1999. Lee’s sub-2″ group works out to .1868 MOA. That’s darn good at 100, and Lee did it at 1000! In addition to the sub-2″ group, Lee set three new six-target Aggregate 50-Caliber records. In Heavy Gun, Lee shot a 298-19X score to shatter Scott Nye’s 7-year old 297-11X SCORE record. Those six targets also produced a new Heavy Gun GROUP record of 6.39X”. Finally, in Unlimited Class, Rasmussen put together a stunning 5.667″ six-target Group Agg. That is the smallest Group Agg ever shot in 50-Cal competition — in any class. Wow… including the 1.9557″ group, that’s four world records in one match. Lee told us: “It was amazing. I was deeper ‘in the groove’ than I’ve ever been before.” Lee was shooting IMI (Israeli) 50BMG brass, with home-made, lathe-turned bullets fired by Vihtavuori 20N29 powder and RWS 50-cal primers. While Lee was pleased with his individual performance, he feels the match results are more noteworthy because they show the potential of the 50 BMG for superior long-range accuracy. Lee explained: “My goal has always been to show the rest of the shooting world what this cartridge can do. We want to get the 50-caliber game to where the other shooting sports are, and then take it a little further. Of course a variety of smaller cartridges can do great at 1000. But the difference is what the 50 BMG can do in high winds.” Mark added that, with the ultra-high BCs of the lathe-turned, solid 50-caliber bullets, the 50s can repeatably produce impressive 1000-yard groups even in strong winds. Forum member Lynn Dragoman observed: “A sub-2-inch group with a standard 50 BMG is simply outstanding. Lee could use a modified case but chooses to stick with the original case to keep the sport [faithful] to its guidelines of promoting the 50 BMG.” Lee Rasmussen is widely respected as one of the most skilled and dedicated 50-caliber shooters, and one of the guys who has always “given back to the sport”. Consider this, there are 17 possible records in 50-caliber competition and Lee now holds ten of them (plus his wife, Sheri, holds three more). Lee actually held eleven records until the last target at the Nationals, when Lee’s LG Six-Target Group Agg Record was broken by fellow 50-Cal Shooter Mark Avakian. So Lee’s FCSA World Record total stands at ten (10), counting his new HG Small Group Record. Mark Avakian set a new Light Gun multi-target group size record at the FCSA Nationals. Mark shot a masterful Six-Target 5.823″ LG Aggregate to break one of the FCSA records previously held by Lee Rasmussen. We congratulate Mark for his very consistent shooting over two days to set the record. While the winds were pretty consistent on Day 1, the winds were very inconsistent on Day 2 both in terms of direction AND velocity, according to Rasmussen. Mark agreed, but he said he “was lucky to have better than average conditions for his Light Gun relay”. When asked the secret of his success, Mark said: “The Light Gun has been shooting very well, and I’ve been using a new 808gr bullet from Dave at Lehigh Bullets. The 808s are shooting great.” (See photo below for other Lehigh custom bullets). For more information on 50-Caliber competition, visit the FCSA website or contact the FCSA at P.O. Box 111, Monroe, UT 84754-0111, phone: (435) 527-9245. 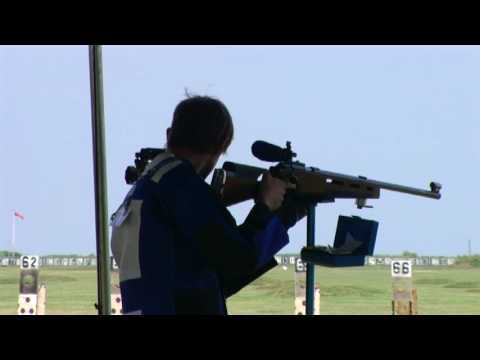 Share the post "Rasmussen Shoots 1.9557" group at 1000 yards, and sets Four 50-Caliber World Records"
The NRA Blog provides daily updates from the NRA National Rifle Championships in Camp Perry. Over the past couple of days the Smallbore three-position (3P) events have been held, and the NRA Blog has syndicated videos of the competition. Linked below are Thre videos of the Smallbore 3P “optical” division. The first video shows the prone phase, while the second shows the standing event. Note that, even in the difficult standing position, the shooters can hold their rifles very steady. That takes years of disciplined training. CLICK HERE to watch full-width HD versions on YouTube.com. Share the post "3P Smallbore Competition at Camp Perry"
Our readers often ask where they can find bargain-priced, well-constructed soft cases that will hold rifles with 28″ or longer barrels. Right now Sierra Trading Post has two heavy-duty Allen soft cases on sale at very attractive prices. Both these bags are more heavily padded than the typical soft gun case. The 52″ version features plastic side panels to provide extra padding around the center section of your rifle. The 52″-long Allen Elite Cross-over Utility case (above) will fit shotguns and rifles with barrels up to 31″. This features a nylon shell with molded composite panels at impact points and thick, 1″ foam padding inside. You may have to remove very large scopes. Sierra’s price is just $27.96, and these cases typically sell for about $40.00 retail. Shown above, the tan-colored Allen Scoped Rifle Case is 49.5″ long, so it will fit rifles with barrels up to 28″ in length. It is marked down to just $24.95, 44% off MSRP. There are two padded side pockets which can hold iron sights, cleaning accessories, or ammo. Share the post "Bargain Travel Cases for Long-Barreled Rifles"
If you’re a fan of classic American firearms (such as the A5 self-loading shotgun, Model 1895 rifle, Model 1897 pump shotgun, model 1911 pistol, and the legendary M2 50-cal BMG), here’s an item of interest. The 8-bedroom Ogdon, Utah house originally built for John Moses Browning is on the market for $374,900. As John Moses Browning is widely considered to be a genius and the greatest American gun designer ever, this house is “hallowed ground” for Browning devotees. The house includes an attic suite with a room that served as Browning’s workshop. One wonders what remarkable designs were hatched in that attic workshop…. The Browning mansion, located at 505 27th St. in Ogden, is on Utah’s list of registered historic places. Described by the “Slugs & Plugs” Blog as “ultimate abode for the unapologetic gun nut and devotee of all things Browning,” the house is listed with agent Sue Wilkerson, Terra Venture Real Estate, (801) 393-1188; www.suewilkerson.com. Unfortunately there are no classic guns or gunsmithing memorabilia sold with the Ogden house. Share the post "J.M. Browning House for Sale"
In addition, British shooter “762AK” has posted fantastic collections of images from the World F-Class Championship, as well as the Imperial Meeting, which is being held concurrently. 762AK, a very talented photographer, is updating his Bisley photo collection daily. You should definitely check out these collections on Flickr. Click the links below to see hundreds of quality photos. 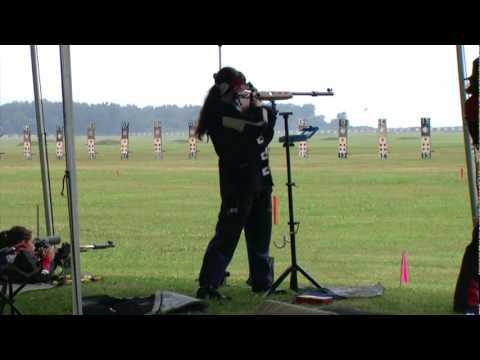 Share the post "News and Photos from F-Class World Championships in UK"
July 22nd was smallbore practice day at Camp Perry, Ohio, site of the NRA National Championships. In this video, provided by the NRA Blog, junior three-position competitors practice their prone, standing, and kneeling positions, even as rain fell on the range. NRA correspondent Lars Dalseide reports that: “unless there’s lightening in the air, rain does little to stop things at Camp Perry.” The NRA Smallbore Championships begin with the three-position events (July 23-25), followed by a variety of prone matches running July 26-30. The CMP Rimfire sporter match is scheduled for the 26th also. CLICK HERE for NRA National Championships Information and complete Match Schedule. Share the post "Rainy Day Rimfire at Camp Perry"
Share the post "Cleaning Cover Prevents Stock Damage"